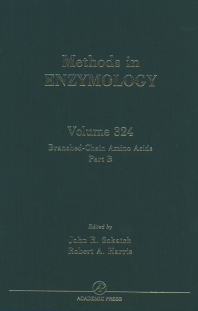 Volume 324 of Methods in Enzymology supplements Volume 166. It includes genetic information (cloning, gene expression) and information on human genetic diseases not available when Volume 166 was published. Biochemists, microbiologists, analytical chemists, geneticists, biomedical researchers, and nutritionists.